As suppliers of agricultural experts here at Mytee Products. So imagine our surprise to learn that while tractor tires are fairly tough, grain stalks are even tougher. Some of the toughest stalks can ruin a brand-new set of tires in 100 hours or less if a grower isn’t careful. Of course, there are things tractor owners can do to mitigate the damage. According to Ag Web, some of the worst stalks for tractor tires include soybean, wheat, corn, canola, and even cotton. The problem is that running a combine through a field often leaves behind cut stalks with razor-sharp edges that can easily penetrate rubber. If a combine leaves the stalks standing straight up as it passes through, you are looking at a field of spikes sticking up, just waiting to puncture tractor tires. 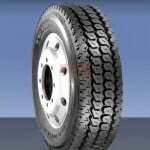 Ag Web stated back in 2009 that tire manufacturers were working on harder rubber compounds that could better withstand the punishment of the field. We know that to be true as a tractor tire dealer. Today’s tires are better than anything the industry has seen in the past. Nonetheless, there is no such thing as a perfect tractor tire impervious to sharp grain stalks. Every purchase of tractor tires is a cost that goes against the grower’s bottom line. It doesn’t make sense to have to buy new tires every season just for lack of taking care of the tires you purchased the season before. Just a few simple tips can help extend the life of your tractor tires considerably. One of the easiest thing growers can do is modify their combines so that sharp stalks are not left sticking up. Stubble shoes mounted on the combine accomplish this by pushing stalks forward slightly. Rather than being left sticking straight up, the combine leaves them pointed forward at about 45 degrees. They will do little damage to tractor tires as long as the grower doesn’t come back later and drive against the grain. A stalk stomper is another option. This is a homemade implement consisting of a heavy pipe mounted in front of the rear tires to knock down stocks before the tires pass over. Tractor tires are similar to other tires in that they need time to season. That is to say they need time to ‘toughen up’. If you are buying new tires, install them as early as possible. Give them all spring and summer to toughen up before harvest arrives. They will do much better in the field after a few months on the tractor. Growers can also increase tire life by running the tires between rows. This would seem to be common sense. Running between rows minimizes tire exposure and reduces the risk of puncture. If you do have to run across a row, go either perpendicular to it or in the same direction the stalks are leaning. The idea is to minimize contact between tires and razor-sharp edges. No tractor tire will last forever. But if you make the effort to be careful with the tires you have, they will last longer. So respect the fact that some of the stalks you leave in your field can be pretty brutal on your tires. If you are in the market for new tractor tires, we hope you’ll check out our inventory. And don’t hesitate to contact us even if you do not see what you need. We still might have a way to get it for you. There is a lot of information online about maintaining car and tractor-trailer tires. There is not a lot out there for agriculture tires. And yet, farmers do not want to spend any more on tractor and wagon tires than truckers want to spend to outfit their rigs. So knowing how to extend wagon and tractor tire life is important to farmers. You can purchase tractor tires from Mytee Products for less than $200 apiece. Farmers can spend thousands of dollars per tire for the biggest, baddest tires built for monster agriculture machines. Either way you look at it, tires take a bite out of the farmer’s income. Why spend more than you have to when doing a few simple things can add years to the life of your tractor tires? In the Field – It is generally recommended that you deflate tractor tires to the lowest recommended PSI when working in the field. This offers maximum traction and less tire compaction. Working on Slopes – The stress put on tires increases considerably when a tractor is working on a slope. This kind of work generally requires inflating tires to the upper end of PSI recommendations. Some manufacturers even recommend exceeding maximum PSI by a few pounds for slope work. Over The Road Transport – Transporting agricultural equipment over-the-road puts extra stress on tires that are not really designed to withstand this kind of punishment for prolonged periods. The general rule is to maximize air pressure for over-the-road travel. It can be a hassle to continually adjust tire pressure on your tractor or wagon. But it is well worth the effort once you realize how proper inflation can extend the life of your tires. Adding tire ballast can be quite helpful for field work. Ballast adds extra down force that gives tires traction. But like inflation, ballast has to be properly managed. You want enough ballast in the field to prevent slippage, but then you want to remove that ballast once the work is done. Extending the life of wagon and tractor tires is made a lot easier by correctly matching tires across a single vehicle. In other words, do not mix radial and biased tires. Do not use tires of different sizes just to avoid a purchase. Make sure all your tires match. And if you are using bias and radial tires in a dual situation, put the radials on the inside. The off-season is when a lot of unnecessary and unnoticed damage is done to tires. As you prepare your tractor for winter storage, jack it up and put it on blocks. Then remove the wheels and reduce tire pressure by 10 PSI or so. Store the tires standing upright on the tread. Do not lay them down flat. Mytee Products has a selection of wagon and tractor tires for agricultural operations. We invite you to take a look to see if we have what you need. And whatever you do, get more bang for your tire-buying buck by following the recommendations we have included in this post. Extending the life of your wagon and tractor tires will make your Mytee purchase even more valuable.